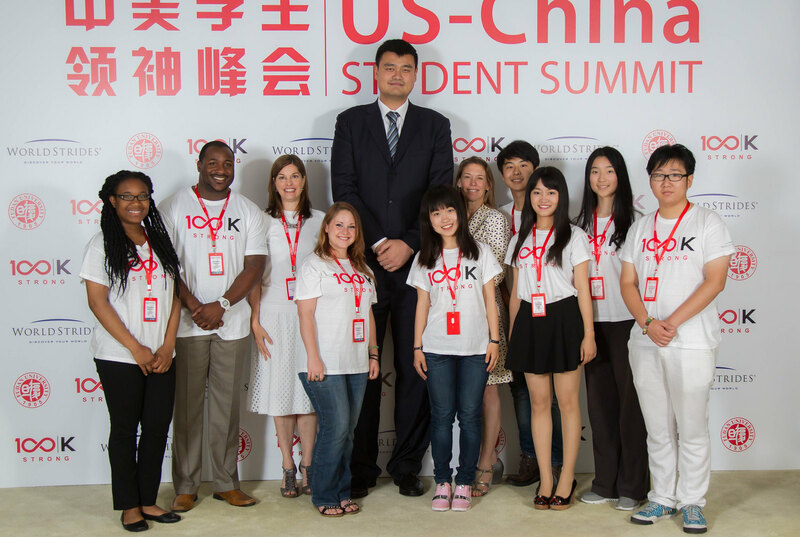 The second annual US-China Student Summit, co-hosted by WorldStrides and the 100,000 Strong Foundation, took place on June 1, 2015 in Shanghai. The summit brought together nearly 300 students from the US and China with a goal of strengthening long-term ties between the two nations. “I am inspired by this large gathering of students from two countries that are very important to me—having lived, studied, and worked in both. Similar to my experience living overseas in the United States, cross-cultural student exchange enhances understanding and builds trust between China and the Unites States,” said Yao Ming, former basketball player and Founder of the Yao Foundation. “I commend the 100,000 Strong Foundation, the Carnegie-Tsinghua Center and WorldStrides for making this incredibly important investment to strengthen the US-China relationship.” The students met for two days at Fudan University to learn about each other’s countries, the importance of the US-China relationship and the role they can play as global leaders.